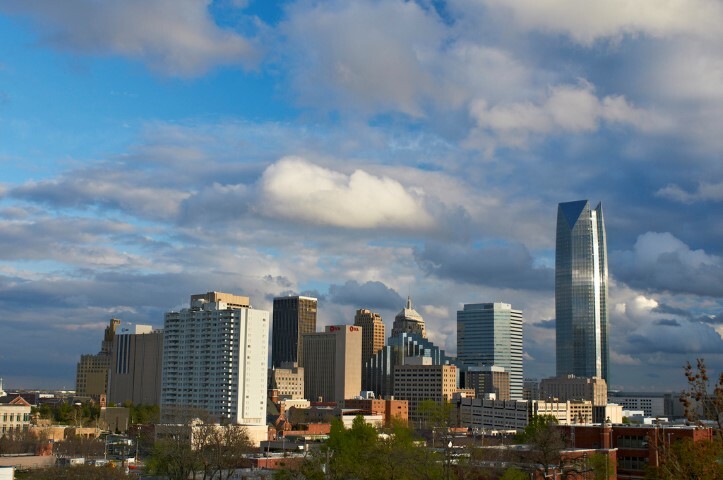 The Oklahoma City MSA, commonly referred to as just OKC, is a seven county metropolitan area located in central Oklahoma, with Oklahoma City as its anchoring city . Since the year 2000, the greater Oklahoma City area has seen significant population growth. The area has also seen significant increases in its foreign-born population as well. Large influxes of Latino and Asian immigrants has made the city more and more diverse each year. Oklahoma City is the most populous city in the state of Oklahoma, and in total land area it is the third largest in the United states. The Oklahoma City MSA has seen a population increase of over five percent in the last four years, and the city itself has grown by seven percent over that same time. Oil, natural gas, and petroleum products are the largest sector of the local economy. The greater Oklahoma City area has one of the largest Native American populations in the United States with over 3.4% of its total population made up of Native Americans. Asia District, located in central Oklahoma City, is the center for Asian culture in the area, and has the largest Asian population in the entire state of Oklahoma. The largest Ethnic group in Oklahoma City is Latin American at approximately 60% of the foreign-born population, and the largest people group is Mexican. The Hispanic population of the greater Oklahoma City area has more than doubled since the year 2000. For a large part of its history, Oklahoma City's primary people group, much like the state of Oklahoma itself, has been Native Americans. The area has one of the largest concentrations of Native Americans in the country, and their culture has had a major influence on the area. Oklahoma City also has the largest Arapaho population in the country. However, more recently, immigrants from Asian and Hispanic countries have begun to arrive in Oklahoma city, and have changed the ethnic landscape of the area. Latinos are the largest ethnic group in the city at over 60% of the foreign-born population. Their numbers have seen significant increase over the last ten to fifteen years, with immigrants coming in from Latin Caribbean and South American countries. Mexicans make up the largest people group in the city, and the city also has significant Guatemalan, and Honduran populations as well. Asians are the second largest ethnic group in Oklahoma City. The Asian population has seen recent increases, and is expected to continue to do so into the future. The Vietnamese, Filipino, and Chinese immigrant populations are among the largest in the city. Asia District, located in the center of the city just east of the university, has the largest concentration of Asians in the state. Asia District- Good information on the center for Asian culture in the Greater Oklahoma City area.